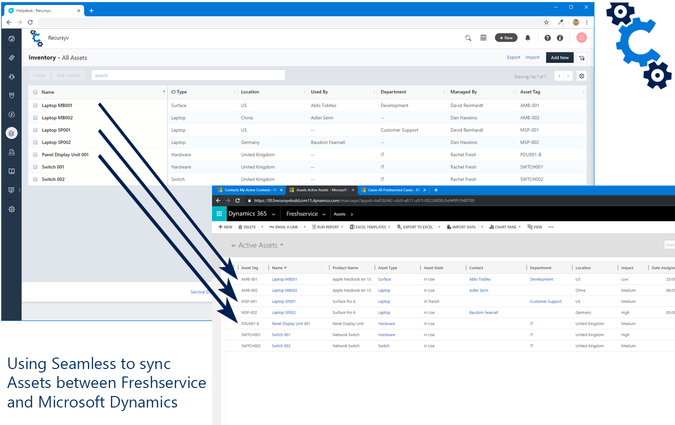 Quickly integrate Freshservice with Dynamics 365 using Recursyv Seamless to power data syncing. 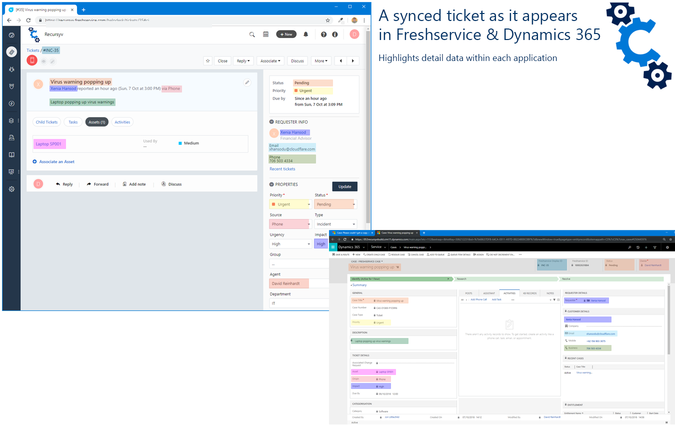 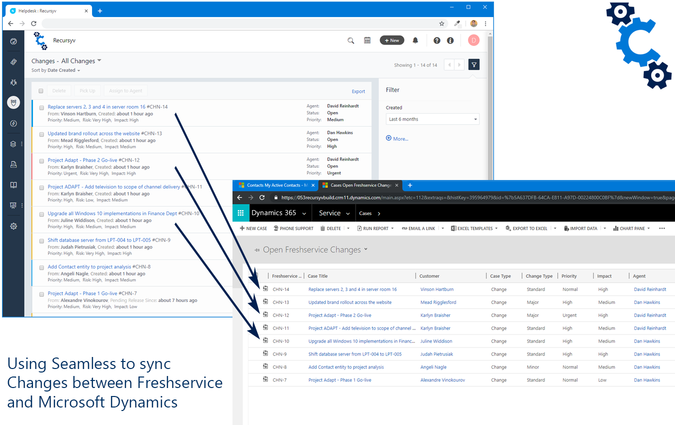 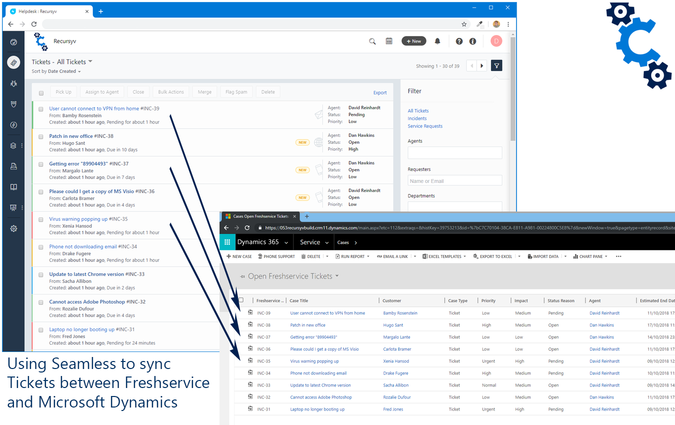 Freshservice Tickets, Problems and Change Requests -> Dynamics Cases provides a reference view of Freshservice items within Dynamics allowing Dynamics users to better understand their customers. 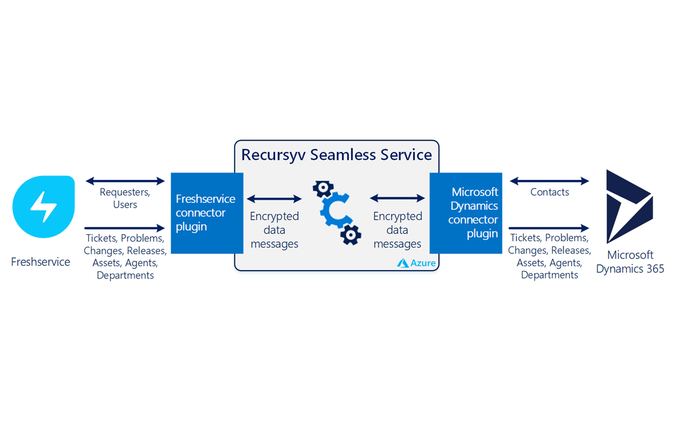 In order to provide connection details for each application (Freshservice & Dynamics 365), you will need to contact Recursyv.